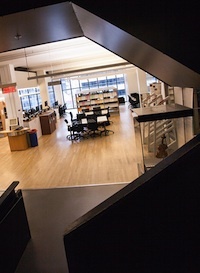 Paul Helmer’s Growing with Canada Collection is now preserved in the Marvin Duchow Music Library’s special collections room and is available for consultation. For detailed information about the Collection, please refer to the finding aid on the McGill Music Library website. Certain restrictions apply. 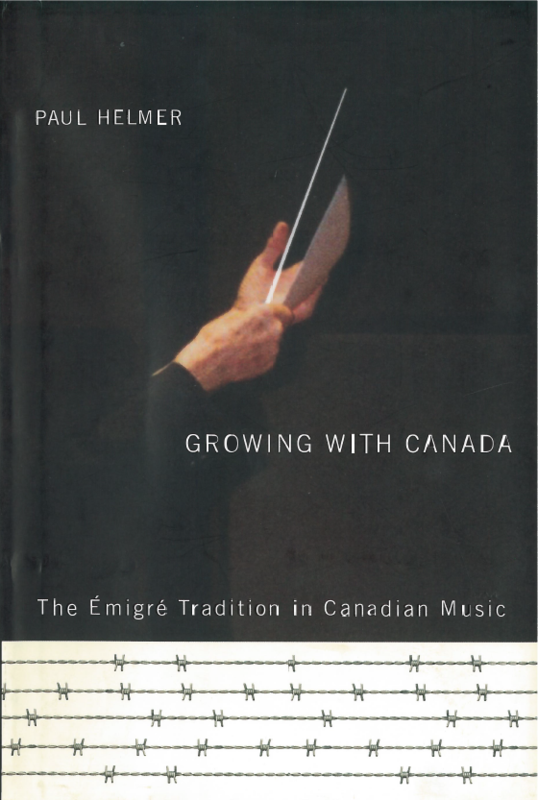 Paul Helmer’s Growing with Canada Collection consists of material gathered by former Schulich School of Music Associate Professor of Musicology, Dr. Paul Helmer for his book, Growing with Canada: The Émigré Tradition in Canadian music, published by McGill-Queen’s University Press in 2009. The Collection contains original documentary evidence including interview transcripts and recordings, as well as Dr. Helmer’s notes and drafts for Growing with Canada and copies of primary and secondary sources. Growing with Canada, jacket cover. 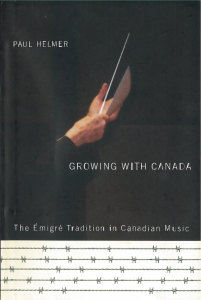 Growing with Canada is an account of the lives and legacy of 121 musicians who emigrated from Europe to Canada between 1933 and 1948. Fleeing racial and political persecution in their home countries, these individuals made a lasting contribution to Canadian music. Paul Helmer’s Growing with Canada Collection, then, constitutes an important resource for research in Canadian music culture of the twentieth century. Of particular interest are the interview transcripts described by Robin Elliot, Jean A. Chalmers Chair in Canadian Music at the University of Toronto, as “an invaluable resource of national importance.” The Collection also contains Helmer’s edited transcripts (originally intended to be published in a second volume), audio recordings, and biographical information for each “émigré” musician discussed. Dr. Helmer’s research files contain many gems for the scholar or the performer interested in Canadian music of the post-war period. As a performing musician, for example, I find Paul Helmer’s diary of notes from his studies with Béla Böszörmenyi-Nagy at the Banff School of Fine Arts in the summer of 1952 particularly fascinating. Hans Kaufman with “Behind Barbed Wire,” 7 March 2001. For those interested in the development of post-secondary music education in Canada, there are extensive files on Helmut Blume and Arnold Walter. These two musicians revitalised the Faculties of Music of McGill University and the University of Toronto, respectively, laying the foundation for growth and prosperity in the following decades. Another important subject broached in Growing with Canada is the internment of “enemy aliens” by the British and Canadian governments during World War II. An unpublished collection of internment camp chronicles by Hans Kaufman entitled “Behind Barbed Wire” sheds light on the lives of internees. Most importantly, however, the Collection contains the voices of European émigrés who fled racial and political persecution and found a new home in Canada. The Marvin Duchow Music Library invites those who wish to consult Paul Helmer’s Growing with Canada Collection to contact Cynthia Leive, Head Music Librarian. Helmer uses the word “musician” here “in its widest sense to include not only vocal and instrumental performers, teachers and educators, conductors, and composers, but also music administrators, musicologists, ethnomusicologists, lexicographers, broadcasters, managers and music patrons.” See Paul Helmer, Growing with Canada: The Émigré Tradition in Canadian Music (Montreal-Kingston: McGill-Queen’s University Press), 4. Paul Helmer’s Growing with Canada Collection, Box 1, S.1/F.1, i, Marvin Duchow Music Library, McGill University, Montréal, Québec. Submitted July 28, 2014 by Eric Braley.